Harsha Lake, Bethel, OH - The under 23 summer squad faced 115 of the best teams from across the country at USRowing's Club National Championships last week where more than 2,100 athletes and 1,750 boats competed over five days. There were 65 entries in the girl's under 17 single event time trial including Rockland's rising juniors Gabriele Welp IHA '19 and Vanessa Even-Chen Ramapo NJ '19. Welp had the tenth fastest time covering the course in 8:30.57 and Even-Chen defeated 31 rowers with a time of 9:01.77. Both girls fared very well in an open field as lightweight rowers and Even-Chen stands out for having only started rowing on the water this calendar year. Welp also raced the single in the women's intermediate lightweight event. The young athlete advanced out of the time trial and in the semifinal tried to maneuver out of her fourth place position with a big push near the 250 meter mark to secure a spot in the grand final, but was outclassed by older and more experienced rowers. She finished fourth in the semifinal with a time of 8:25.81 with OKC still five seconds ahead (5. Parati-8:41.83, 6. Nashville 8:45.31, 7. Wayland-Weston 8:50.64). Welp came in 7th overall in a field of 27 mostly collegiate rowers, an impressive feat for a 15-year-old. She said, "The experience allowed me to see what I am capable of doing on the race course and has shown me that anything is possible as long as you commit to it and truly want it." Rising senior Ariel Deljanin N. Valley '18 stroked the girl's under 19 double with teammate Juliette Frank Ramapo NJ '17 in bow. The Rockland duo defeated a total of 27 crews in a field of 65 finishing with a time of 8:04.02. Frank signed to row with UCLA's Bruins beginning this fall and Deljanin is being actively recruited by Division I rowing coaches. In the women's intermediate lightweight double, Lucille Tasker Wisconsin '19 and Welp advanced from 26 entries in the time trial through the semifinal and on to the grand final where they finished in fifth place (8:05.38) ahead of Y Quad Cities (8:10.26). Lucille is a former Rockland rower and coxswain for Wisconsin women's lightweight rowing team. This past year she ran three marathons and is currently training for a half Ironman competition. 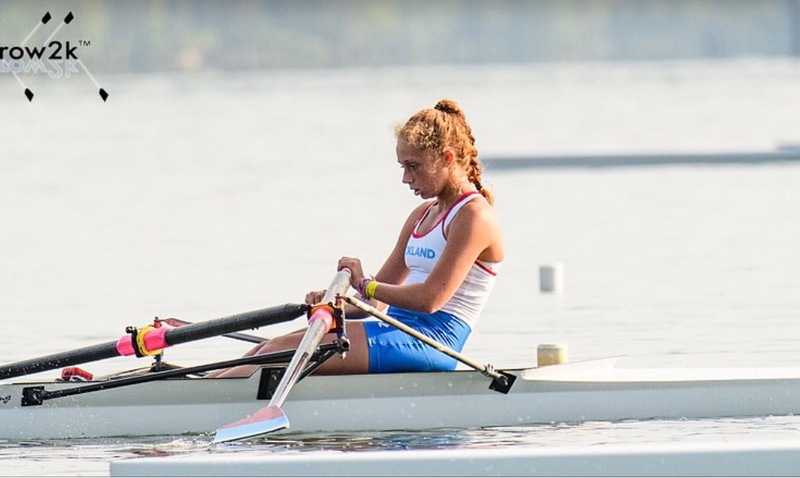 Rockland newcomer and rising senior, Chloe Young Ridgewood '18 raced as part of the USRowing Junior Women's High Performance Camp where she finished 12th of 65 in the girl's under 19 double, 20th of 36 in the girl's under 19 quad and fifth in the grand final of the women's intermediate eight. "We're looking forward to having Young train with us in the fall," said head coach Melissa Boyd. "She's an incredible athlete and will be a great asset to our team." Next up is the Philly Youth Regatta on July 22.